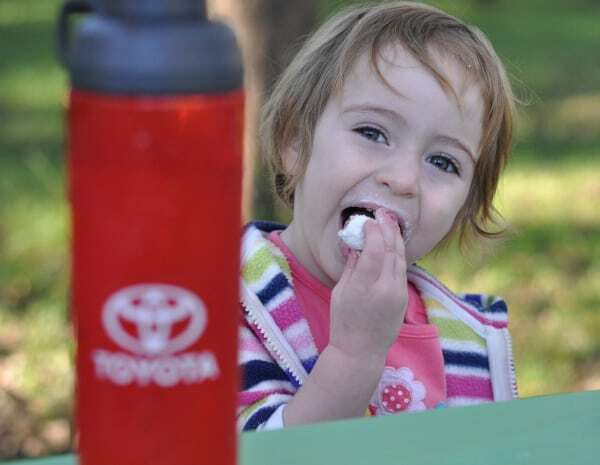 Home»All»Texas Outdoor Family at Brazos Bend State Park… with Toyota! 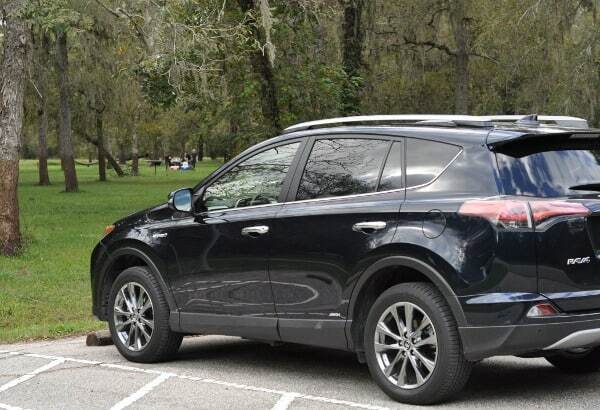 Texas Outdoor Family at Brazos Bend State Park… with Toyota! On Friday morning, I actually said to my husband, “I will meet you at the campground after work.”. Those are words I would not have said 10 years ago. Not 5 years ago. Not even 3 years ago. But my kids begged to go camping… so, off we went to figure out how to survive in the wilderness. This is still intimidating because I’m a mom, with very little camping experience, taking four little kids out in the woods. That’s why Texas Outdoor Family is so cool. They provide the equipment, show you how to camp… and then they help you hike, bike, paint and play in the woods. We just got back from Brazos Bend State Park and had the BEST time. 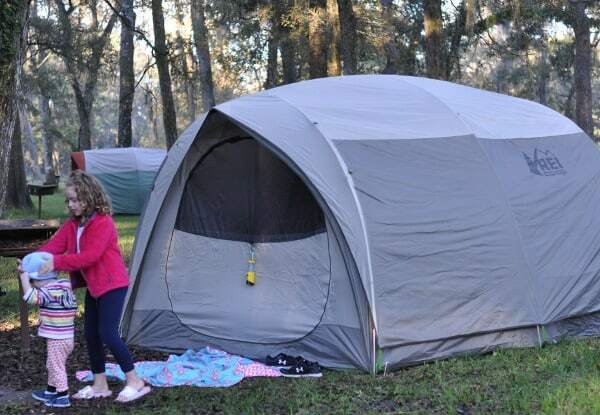 This program is designed to help families discover the joys of camping and Texas State Parks. All camping gear required for a stay in the park is provided and several rangers stay with the group for the trip. 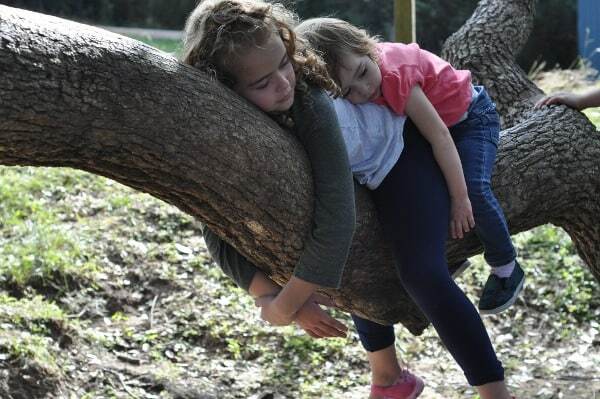 And friends, the Texas Outdoor Family program is amazing. We set up tents, made meals and built campfires… and we rode bikes, went fishing and hiking, learned to geocache and made nature watercolors! We have now been on one night and two night Texas Outdoor Family weekends. Last year we went for one night, and this was nice because all the camp set up was done in the daylight. 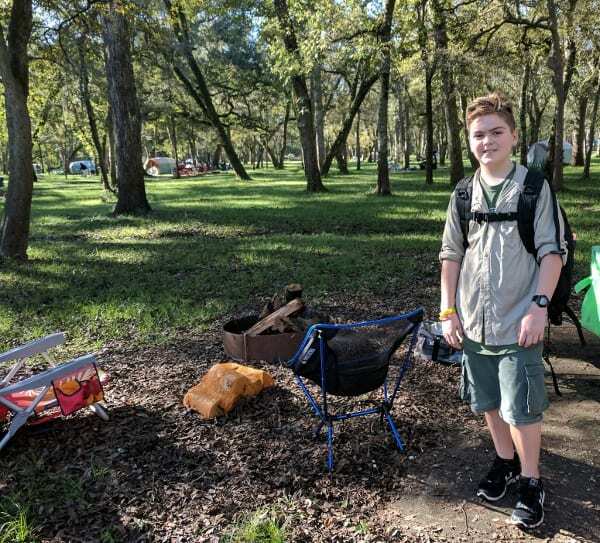 On both trips, the park rangers gave us lessons on setting up our tents and using our stoves and taught the kids about playing in nature and leaving no trace. The rangers also went campsite to campsite to make sure everything was safe and the food was packed up tight each night. 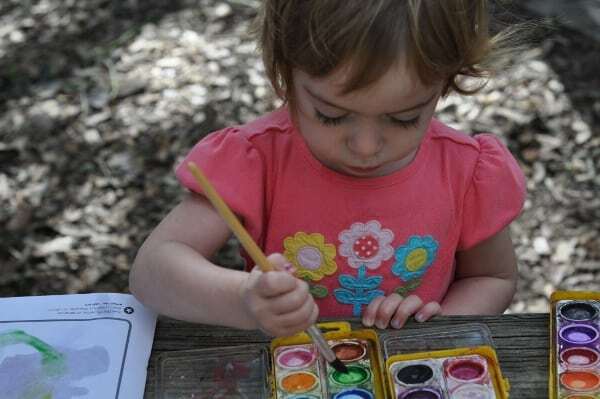 With this Texas Outdoor Family, you can participate in as much or as little as you want. We did a lot of group activities… but even if we just did our own thing, it is nice to know the rangers are close by to help. 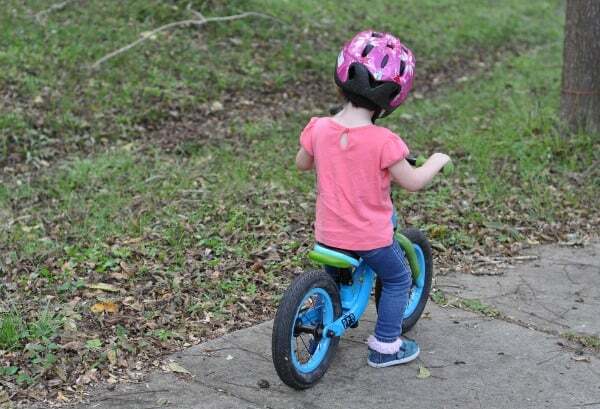 My big kids liked the hikes and loved the bikes the park provided. They road around and around all day long… waving as they passed by the tent. They all liked visiting the George Observatory (run by the Houston Museum of Natural Science) on Saturday night. 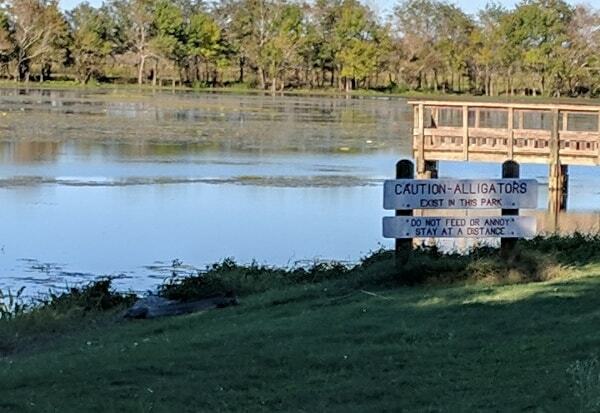 The trail to get there was lined by alligators during the day… and we had to cross it at night! And as for me, I just liked camping with my family. We worked together, cooked together, told stories together and tried something new together. 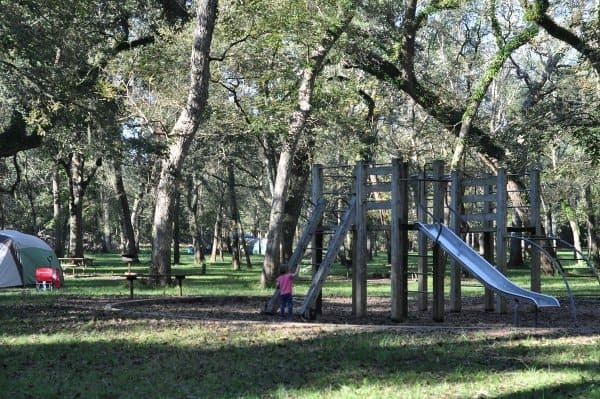 You don’t have to participate in Texas Outdoor Family to enjoy the park! 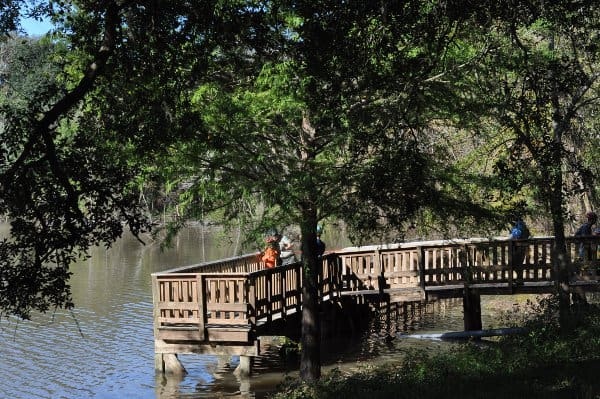 Anyone can visit Brazos Bend State Park for the day or the night! The park entrance fee is $7/person over 12, regardless if you are staying the night or not. Entrance is free for Texas State Parks Pass Holder. To camp on your own, you can reserve a spot for $12… or pay as much as nearly $65. There are campsites, screened shelters and primitive shelters. The Texas Outdoor Family fee included the campsite fee. 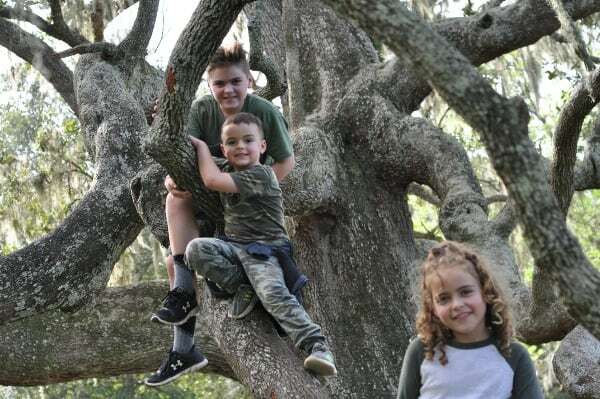 Whether you spend the night or not, you can visit the park, take guided nature hikes and visit the nature center. 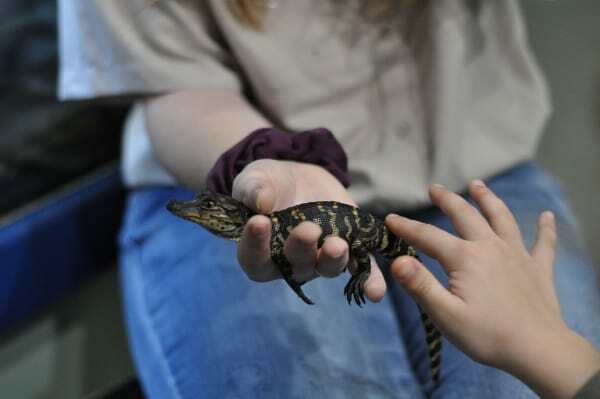 The Nature Center has exhibits on the three ecosystems in the park, as well as on reptiles that live there. The George Observatory is open on Saturdays from 3 to 10 p.m. The observatory is part of the Houston Museum of Natural Science. 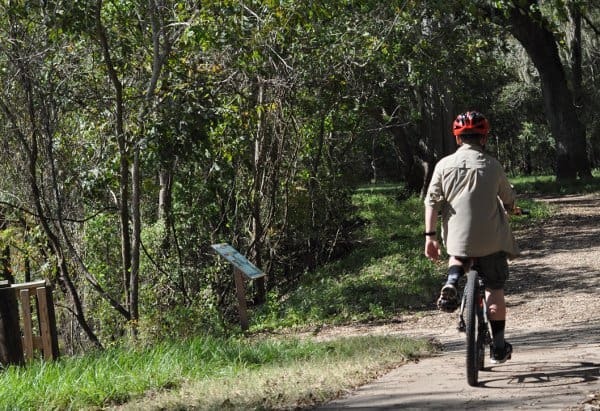 The park has 37 miles of trails, some of which are stroller and wheelchair friendly. 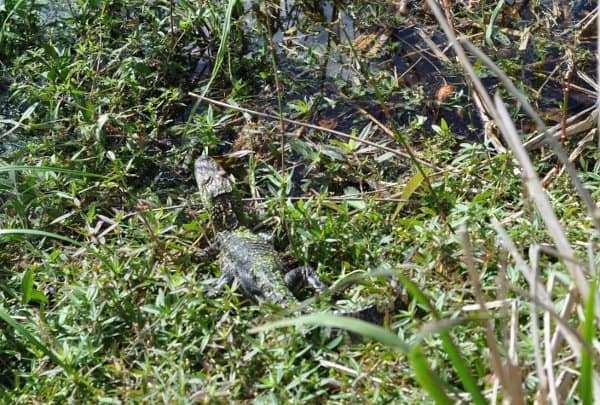 There are alligators in some areas of the park. Be smart around them! Gathering firewood is not allowed, but it can be purchased around the park. Ice is availalbe for purchase at the front of the park. It was cold on Friday night and hot on Saturday night. Be sure to pack for both! 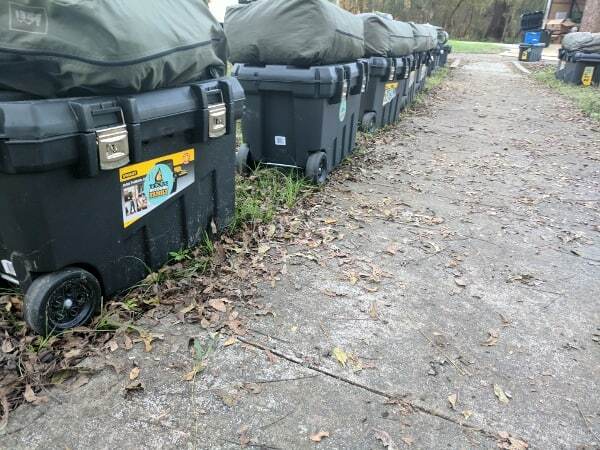 Texas Outdoor Family loaned us some equipment and I packed up everything else I thought we might need… and listed it below. If you have essentials you pack on your trips, tell me and I’ll add it! A glow stick for the toddler. It was so dark by dinner that it was nice to have a glow stick on her back. 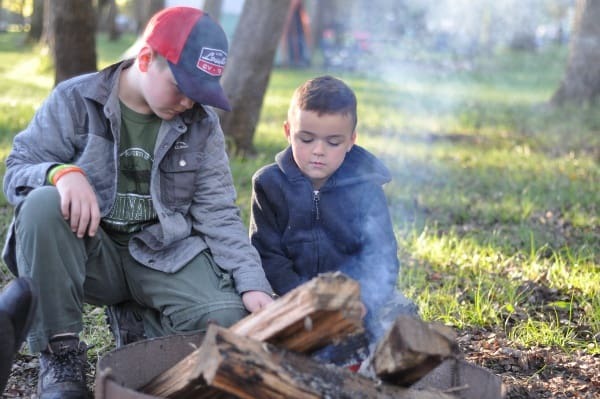 If you also want to work together, cook together, tell stories together and try something new together, check out Brazos Bend State Park or any of the Texas State Parks. 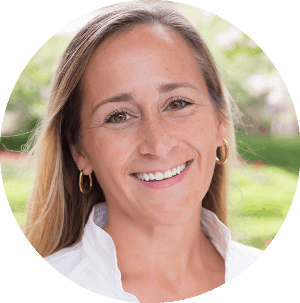 And if you want some help getting started, check out Texas Outdoor Family! Thank you Toyota for telling us about the program! Mom's Night Out Give Away: The FUN Show with Cat & Nat at Revention Music Center!